It was the BIGGEST change in my training EVER! I started cycling in my early 20’s with my boyfriend (now my husband!) and I was hooked pretty immediately! Over the next 15 years my cycling experiences ranged from my daily London commute to massive endurance sportifs throughout Europe, sprint triathlons and the odd weekend pack up trip. I was a member of my local gym and was a regular (had my own spot..front right, always!!) at most of the cardio based classes...spin, body pump, combat and I’d often use kettlebells in my own training too. 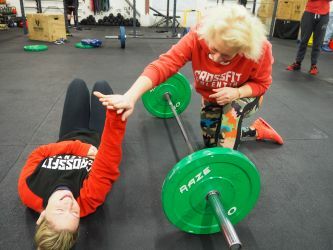 I had a great trainer who kept me pretty focused and motivated and we played around with some weightlifting too but when he moved to pastures new I found myself floundering and for the first time in many years, losing interest in my training! I’d heard about a new gym that had opened up a few miles away from where I lived...I’d heard they did some lifting, that their trainers were all pretty experienced and that they did something called a WOD at the end of the session too..I was intrigued, what was this training that looked pretty similar to what I’d done before but just seemed a bit different somehow?? I looked them up and found out they were a Crossfit gym. I’d watched a few YouTube videos on Crossfit before and liked what I saw. I checked on their website and they had a free taster class to book into. I turned up, pretty scared I must add (!!) and met a group of people equally as scared as me but we gave it a go-making that camaraderie style of eye contact you do in these situations! The coaches were great and put us at ease swiftly...showing us what to do and how to do it. We did some strength work, deadlifts I think but then at the end we did the WOD....it was incredible! It was a simple workout with body weight squats, pull-ups, push-ups and sit ups...quite a few of the people in the group (including me!) struggled with the upper body work but the movements were changed slightly (scaled) to allow us all to train together and work at our own pace. We cycled through the movements, one round after another for the full 10 minutes whilst being encouraged and watched over by our coaches throughout. I’m older, for sure! But I’m stronger, faster, leaner and more motivated in my training than EVER before! 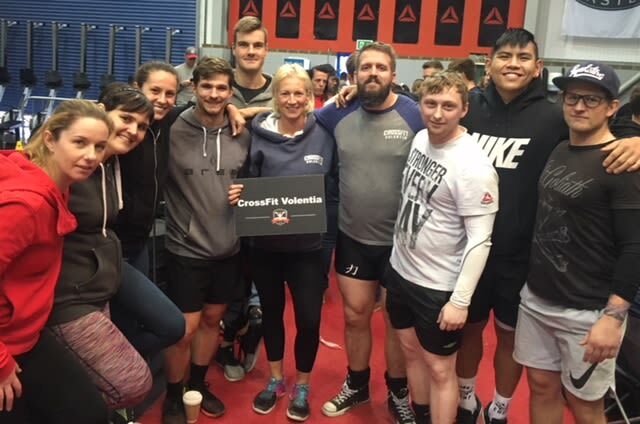 My journey is a pretty standard story in our world..I guess it differs a bit in that I loved it so much that I set up my own box, CrossFit Volentia and decided to give to you guys what I had experienced myself all those years back. We’ve been here now for just over 3 1/2 years, we’re a group of committed full time coaches and personal trainers who love what we do and share our passion for training with our members New and Old on a daily basis. If you’re inquisitive, looking for something different (but familiar too! ), if you’re ready to try something else-do what I did, book into a taster class and give it a go!